No, you don't absolutely have to file your tax return with the IRS by mid-April each year. The IRS will obligingly move this deadline back for you by six months. All you have to do is ask. Up until 2005, it used to be that you could request a second extension of time to file your personal income tax return with the IRS. Not anymore, but that's not as bad as it sounds. The amount of extra time you get works out to be just the same as it was back in the old days, but now you only have to ask once rather than twice. You don't have to remember to go back and tap the IRS on the shoulder a second time. Under the old extension procedure that was in place through 2004, you could request an automatic four-month extension, followed by a second two-month extension. Form 2688 was used to request the second extension, but that's obsolete now and is no longer used. Your request for an automatic extension of time will grant you the same extra six months to file your taxes, but that's your one and only chance to ask for a bit of a reprieve. Now you can file Form 4868 to get the additional six months all at once. What Happens When You File an Extension? Filing an extension is one of the simpler tax challenges you'll ever encounter. But before you do it, you should understand exactly what it does and what it doesn't do. The deadline for filing your 2018 personal tax return is April 15, 2019, unless you live in Maine or Massachusetts. These states recognize Patriot's Day on April 15, and April 16 is Emancipation Day in Washington D.C., so residents have until April 17, 2019 to file. When you file Form 4868, your new deadline to file a tax return will be October 15, 2018. But—and this is a big but—tax payments for the 2018 tax year are still due by April 15, 2019. An extension doesn't give you additional time to pay. 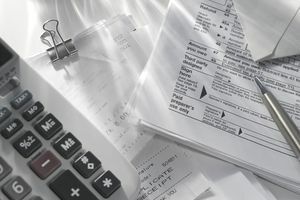 The IRS will charge interest and sometimes even penalties on tax payments made after April 15. First, create a rough draft of your tax return. You're not going to file it. You just want an idea as to whether you expect a refund this year or you might owe taxes. Now download Form 4868, Application for Automatic Extension of Time To File U.S. Individual Income Tax Return from the IRS website. Fill it out. If you use tax preparation software, these programs will almost invariably e-file Form 4868 for you, usually at no charge. Just make sure that you do so before midnight on the deadline day. It can take from five to 20 minutes to file the extension online, so give yourself enough time to finish before midnight. Here's a list of mailing addresses for sending Form 4868 to the IRS if you want to submit it the good, old-fashioned way. If you don't electronically file the form with tax preparation software, your extension must be postmarked on or before the April 15, 2018 deadline. It's a good idea to send the extension form by certified mail with return receipt requested. This provides proof that you did indeed mail your extension request and when you did so, as well as proof that the IRS received the form. If you owe taxes, mail a check with the extension form. If you don't owe taxes, just mail the form. You can also go to the IRS Direct Pay website and submit payment there if you file Form 4868 online. Some software providers are set up to allow you to pay by direct debit from your bank account at the time you file the extension form. Americans who live in other countries can sometimes request additional time to file beyond the six-month extension to Oct. 15, but they must file an additional form. Request the first extension with Form 4868, then file Form 2350. This form requests additional time to file Form 1040 so you can qualify for special tax treatment. The IRS explains this special procedure and the circumstances under which it can be useful.